The famous parades happen in a place called Sambadrome (sambódromo in Portuguese) and last three days. The Sambadrome is a wide avenue with stadium seats placed on each of its sidewalks for the parade of the best samba schools in Rio de Janeiro. The parades begin at night and go until dawn. Each school has one hour into the Parade and must impress the judges. Because of that, each year is more exuberant than the last. Visitors watch from the grandstands or cabins, all with a good view of the parade. The samba schools are like football teams, they train all year long and since it is a competition, they want to win. 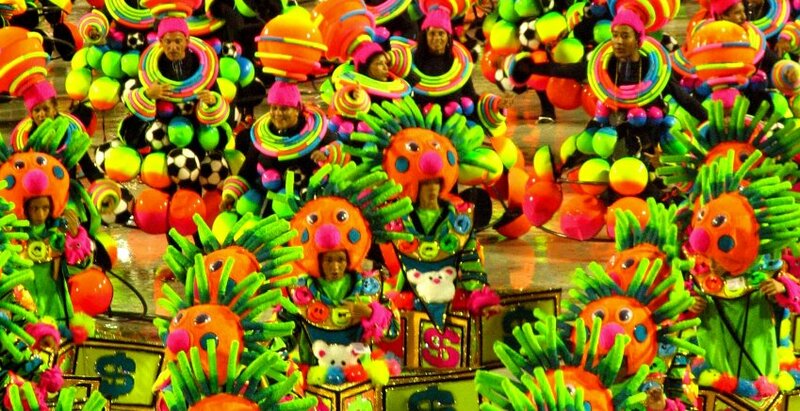 Each samba school has its time for the Parade and each year they have a different theme and music (called enredo). Each one has several dancers (sambistas), a king and a queen. It is a spectacle of color and music. Most who come here want to return. During the days of Carnival, the country stops doing everything just to dance and enjoy life. It all starts on Friday and ends on Wednesday (Ash Wednesday). In most Brazilian cities, it is easy to find parties and music all day and night. 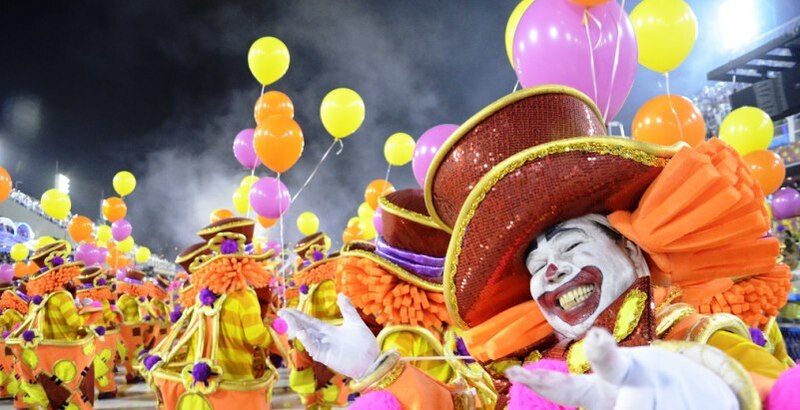 While Carnival is celebrated everywhere in Brazil with a local flavor, the experience in Rio is still unparalleled. The music and energy of Carnival in Rio are contagious. Arrive at airport. Pick-up and transfer to hotel. Check-in. Be welcome, meet your group fellows and have general briefing about the trip. Depart to have a welcome dinner (included) with your guide. Overnight. Walking tour around the Copacabana and Ipanema finishing in one of the hundreds of blocos (street parties) that take place in Rio during Carnival time. Sugar Loaf visit start at Praia Vermelha where a cable car (bondinho) connects to Urca Hill, located at 215 meters of altitude but this is only the first stop. From there another cable car goes up to 395m from where you can see the entire Guanabara Bay and its islands, Flamengo landfilling, the Corcovado and Rio-Niterói bridge, besides the majestic mountains that protect and embellish the city. 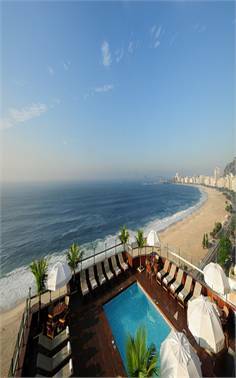 Also a unique perspective of Copacabana beach, Santa Cruz Fortress and some beaches of Niterói complete the experience. Located at Corcovado Peak (700m) with 30m height, 635 tons Christ the Redeemer was considered one of the 7 new wonders of the world. 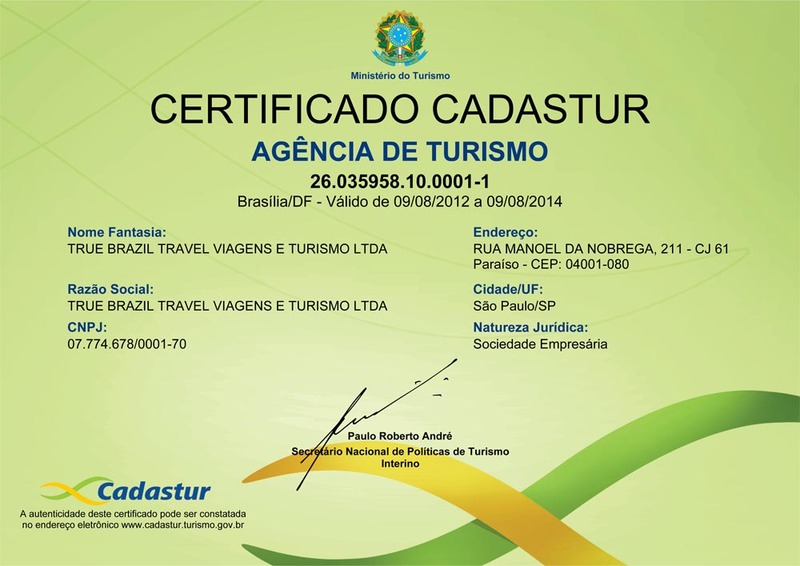 Only that would make a visit worth, but also the views of Rio from there complete the reasons for the visit. During the evening depart with your host by metro to the Sambadrome (SECTOR 11 TKT is included) to see the most famous party all over the world. 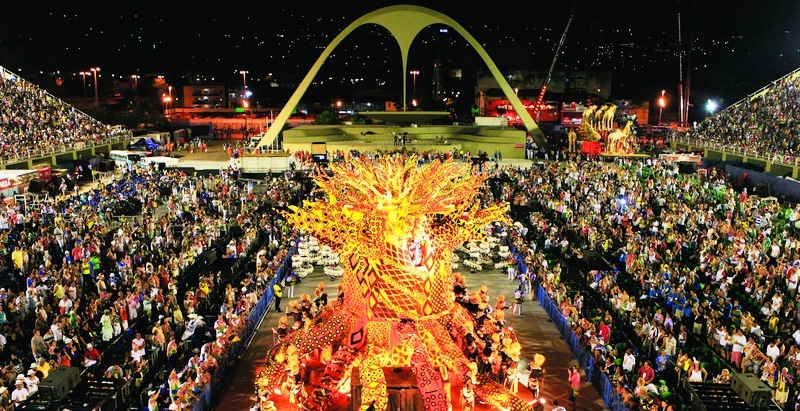 The Sambadrome is a special tiered street specifically designed for the Samba parades. From the top 12 schools 6 perform on the Sunday and 6 on the Monday at the Sambadrome. Each school can have more than 3000 members and the school is judged on the song, costumes, choreography and other 7 items. Your host will be with you all night. One of the activities mentioned above. Schedule to be defined. Breakfast. Check-out. Transfer to airport to take flight to your next destination. 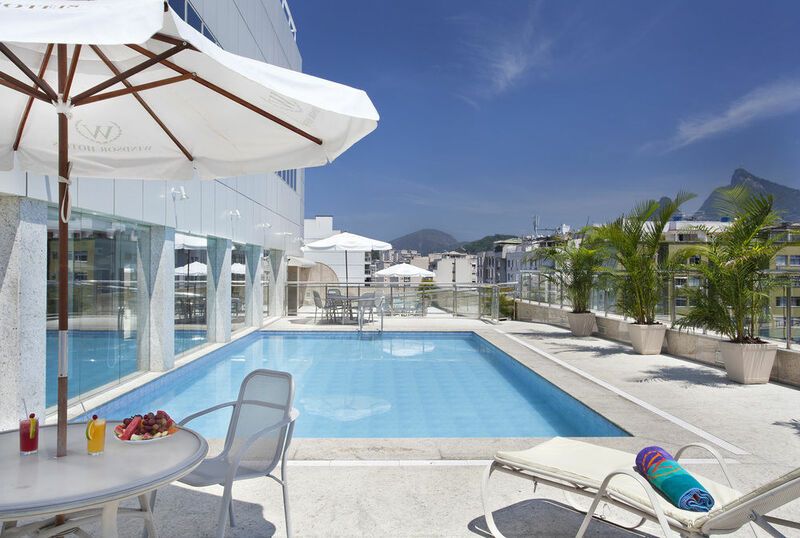 Windsor Flórida Hotel is located only a few meters from Flamengo Beach and has amazing infrastructure and services od a 4 star hotel. 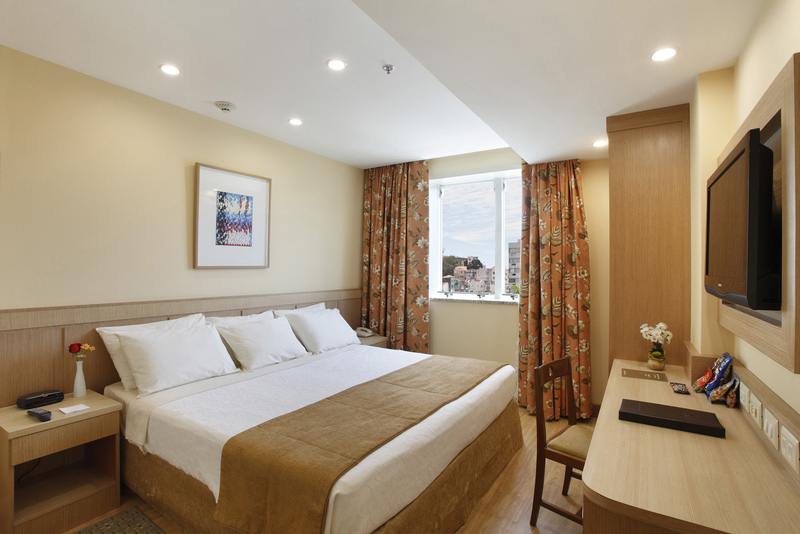 For business or leisure we offer great cost-benefit. 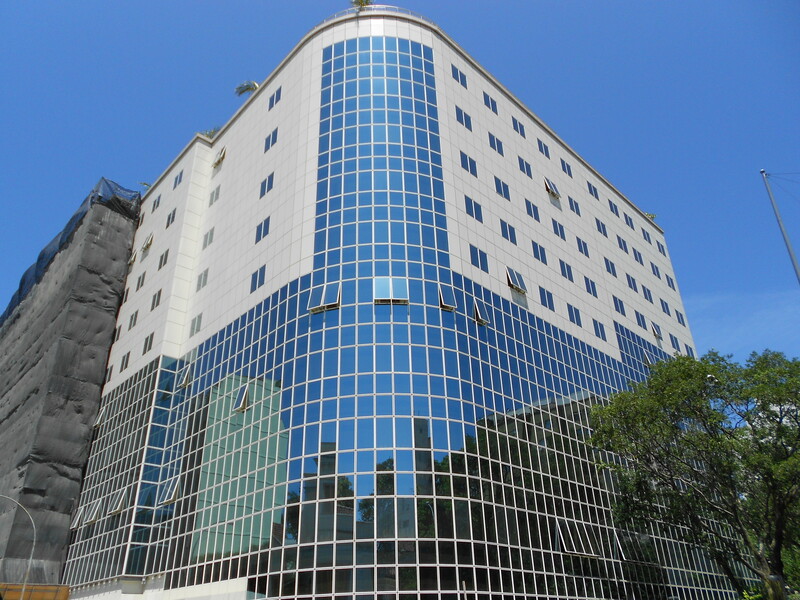 Lapa and Copacabana neighborhood are also nearby (a few minutes drive). The beautiful vies from the rooftops is unforgettable!.